Mother was already hospitalized when I raced (flew) cross country, rented a car, and broke every speed limit to be at her hospital bedside. Half hour later she was in a coma. Something in me (and I think in Dad) wanted her to be able to die at home. But it was Memorial Day weekend and we learned, upon asking, that getting any kind of caregiver etc. help immediately was out of the question. An attractive room in the mostly-empty hospice section of the hospital was available and was suggested to us as an option. Local designers had decorated each room individually–very pleasant atmosphere. Regardless of Mother’s state of functioning, she would like this pretty room I thought. She was moved there. Perhaps it made only Dad and me feel better. Never-the-less I remember going out within the hour and buying fresh fragrant flowers for her bedside table. I wasn’t in denial. She’d always loved the fragrance of flowers and although they say hearing is the last to go, I was uncertain about sense of smell. Looking back, I realize I would do what I could to help my parents age as well as possible until the very end. Today I think that would have included palliative care. We would have been better prepared. If Mother and Dad wanted it, Mother would have been at home and not in the hospital at the end. This outstanding (to me) NPR radio segment, “How Palliative Care Helps–One Iowa Family’s Experience,” features a family and the physician supporting them. A rare front-row seat, so to speak, of palliative care in action. Those of us who have been helping our parents age well (whether on-site, or from far away like myself), help both our parents and ourselves when we understand outside sources of support (palliative care and hospice) and their differences–way in advance of ever needing them–if possible. “Newsworthy” (right sidebar). Links to timely research and information from highly respected universities and professionals, plus some practical stuff, to help parents age well. To age well, connections to others are very important. to death; and that’s not good. PROBLEM: Phoning an aging parent who talks and talks and talks can seem like punishment. This may not matter as much, when we have nothing better to do with our time. Yet when adult children are frazzled and stressed or they’re just plain tired, there’s help. First, identify which aging parents are most likely to be too talkative. 1. Those have hearing problems and talk and talk because that’s easier than not hearing and understanding what is coming through the ear-piece. 2. Those who are lonesome. 3. Those who may not have talked with anyone all day. Many of us mentally plan a phone call to aging parents into our daily routine no matter what….to bring fresh ideas, news, stimulation, or to check that they’re alright, or let them know we’re thinking about them and/or we care. Sometimes the timing is just plain bad– Their need to talk, trumps everything and we listen and we yawn. Admittedly I fell asleep once, sitting too comfortably in a chair while being too tired, but dutifully phoning a living-alone 89-year-old. The older person on the other end of the line began a monologue and kept moving from one topic to another, barely coming up for air in between subjects. I couldn’t get a word in. The next thing I knew I was jolted from my short slumber–hearing “Susan, are you still there.” to which I quickly lied “of course.” (The truth would have been such an insult.) How embarrassing! Partial solution–A phone with technology for hard-of-hearing users; or a hearing evaluation leading to purchasing– or wearing– hearing aids. A well-charged, cordless phone, a headset to plug into the phone, a medium-or larger deep pants pocket or small shoulder purse, and a reasonable calling plan for adult children. Last month my friend, Monique, told me she phones her 88-year-old mother in France at least every other day and they talk a long time. Mentioning how she got all the laundry done, worked and weeded in her garden, etc. etc. while talking to her mother, I was curious. Upon questioning, she said she went to Best Buy, bought a headset that plugs into that little hole (under the flap with a tiny raised headset logo) on today’s cordless phones, dials the number, then–with earphones adjusted–settles the phone into a pocket or a little shoulder purse and simultaneously talks with her mother and does her work. 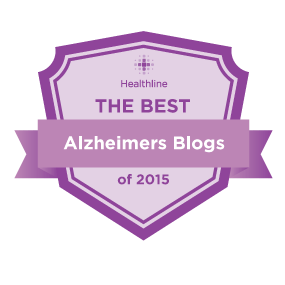 Staying connected–one of the three most important factors in helping parents age well; but one we should be able to handle well. Why do gifts for older men seem to take more thought and ingenuity than gifts for women? Or is this a question basically asked by women–who, we might assume, purchase more gifts than men? Although tagged as aging mens’ gift ideas, this list is clearly appropriate for aging women. An appointment with an audiologist. (Possibly locate the audiologist, make appointment, go with parent to appointment.) To lessen any emotional overlay, this may be most effective with objective reporting of facts (eg. “I don’t know whether you noticed, Dad, but yesterday I told you John just phoned and you answered ‘But I just talked to Joan two minutes ago.’ You’ve been doing a lot of that lately, Do you think an appointment with an audiologist would be a good idea?” I admit that’s not the kind of gift every parent wants, but something appealing can always be added from other categories. If hearing is an issue check this NY Times link: http://gadgetwise.blogs.nytimes.com/2011/01/07/functions-to-make-phones-easier-for-the-elderly/ which mentions Clarity’s phones, http://shop.clarityproducts.com/. I pay little attention to company’s emails sent to my blog’s gmail, but because of the NY Times article, this interested me. Click the amplified phones picture for Clarity’s offerings. Some phones may meet an aging parent’s needs. Also Googling “telephones for hearing loss” provides additional phone options. Starbucks VIA ready brew individual instant coffee packets–regular or decaf in 3 or 12 packs for coffee lovers. Dad probably wouldn’t buy it for himself. Easy, microwaveable, no mess.. Pricey, however, COSTO carried it and may still. Vision: We know aging produces vision changes in many. Large print books (for dads who still like the feel of a book); large print newspaper, large print crossword puzzle book. The Kindle (which I hear many like best) or other electronic book, where the font can be enlarged–a Godsend I hear for people with vision issues. The pocket-lighted-slide magnifying glass (Black & Silver Pocket LED) from Great Point Light offers magnification and light with a simple pull. Takes up little space, is light weight, not pricy ($9.95), remains lit without having to keep a finger on any button, great for reading (menus/bills) in dark restaurant. It was carried at the Container Store, Staples, and Office Max last year. Haven’t physically checked this year. This website offers more details, including how-to information for selecting a magnifier. We’re into Chanukah, with two weeks left until Christmas. Here’s hoping that the last 4 posts have helped with your holiday shopping. More gifts ideas for aging fathers and grandfathers–than I think a man could possibly want–filled my Father’s Day gifts posts last year: 8 categories, arranged alphabetically, from “Accessories and Clothing” to “Vision.” I reread them, remembering the time and outside-the-box thinking that went into compiling the list. Not needing to reinvent the wheel, I’ve updated the list and added a bit. I’ll post it in 2 parts so it’s not overwhelming. Hoping that your shopping is made easier and that the aging men in your life will have smiles on their faces as they open their presents. 2. Computers–especially designed for seniors: Check the 6 options in my May post https://helpparentsagewell.com/2011/05/28/computers-especially-for-seniors/ . Tickets to sporting events etc.–accompany Dad or have Dad take a friend. A short outing with Dad (fishing trip, golf game, movie, zoo, his old neighborhood if it’s near–you might learn additional family history). Toe Nail Clippers: for elders with still-steady hands who don’t have diabetes. Does a good blood pressure gauge help old, older, and very old men age well? 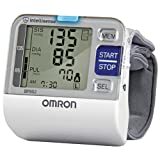 Recently an easy-to-use OMRON intellisense wrist blood pressure gauge, like the one pictured, was used on a patient in one of the doctor’s offices located in one of NYC’s top hospitals. (I phoned to double-check it out.) Check it out with your dad’s/granddad’s doctor. Omron Bp652 7 Series Blood Pressure Wrist Unit. double-check on this UTube Video. Hammacher Schlemmer’s (catalog: 800-543-3366) full screen pedometer (2 5/8 Hx 1 1/2 Wx 1/2 D). Steps walked, distance travelled, calories burned, time elapsed, average pace–all seen at once, on one screen operated by one button. This medication reminder was featured in a respected hospital’s magazine, sent to seniors in surrounding communities. http://www.guardianmedicalmonitoring.com/medication-management.asp. Good idea for forgetful fathers (and mothers)? May 2014 Help! 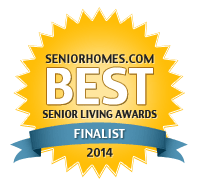 Aging Parents was again a finalist. 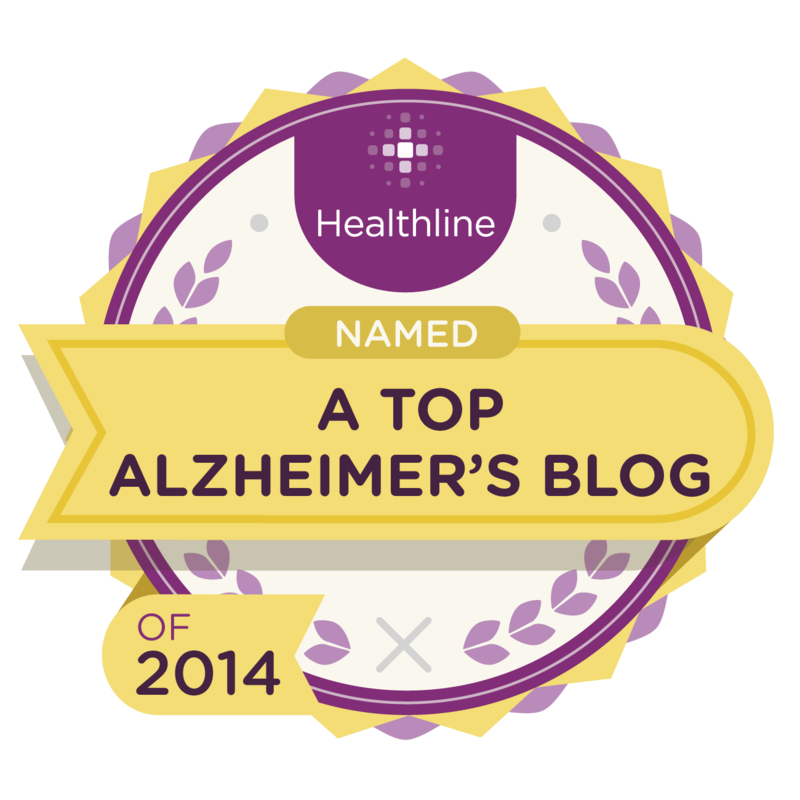 Check all finalists’ blogs out by clicking the 2014 finalist badge at right. And many thanks again for your vote. 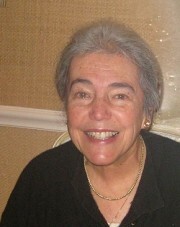 After taking many weeks to adjust to her needed hearing aids, M was so enthusiastic about alleviating hearing loss that we devoted a post to her experience and advice- https://helpparentsagewell.com/2010/05/22/why-hearing-aids-get-put-in-a-drawer-never-to-come-out-again/ Not only do people with hearing loss miss so much, they also cause exasperation in those having to repeat over and over so it’s a negative for everyone. Clearly doesn’t help parents age well. M has mulled over the question of why people easily accept wearing glasses to improve vision but resist hearing aids. Perhaps because so many younger people wear glasses with fashionable frames whereas mostly older people have hearing aids (which they try to hide?). Thus, people generalize–hearing aids signify “old.” Is it because it takes perseverance to get used to them? Or is it because they’re expensive and many don’t purchase the best for their situation and spend money, but end up wasting it on an unsatisfactory product that’s not worth using for various reasons? Or they don’t know there’s a return policy. Become a Moving Target, See Well, Hear Well. Important for Aging Well.